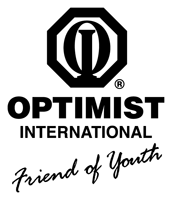 The Clarkston Optimist Club holds weekly General Meetings at 7:30 AM a.m. each Wednesday at Campbell Richmond American Legion Hall, 8047 M-15. Each week, the club has a program for approximately 30 minutes. Meetings are over by 8:30 a.m. We welcome community members that are interested in the Clarkston Optimist Club at our meetings. The Clarkston Optimist Club Board Meeting is the second Wednesday of the month at 6:30pm at McLaren Cancer Center on Bow Pointe Drive off Sashabaw Rd. All club members are welcome at the Board meeting. The Clarkston Optimist Club has no provision for fines if members do not attend meetings. We encourage everyone to attend as many meetings as possible.